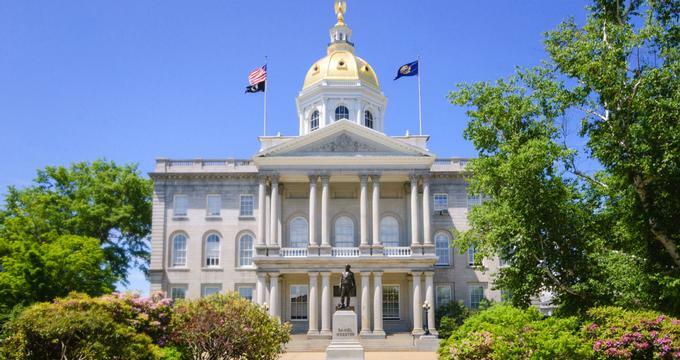 Whether New Hampshire’s allure is its 18 miles of stunning coastline or the wilderness of the Great North Woods, there are plenty of reasons for couples to tie the knot in the Granite State. They’ll find jagged mountains, tree-lined lakes, and verdant valleys. The wild and stunning natural beauty of New Hampshire offers couples exquisite backdrops to any outdoor wedding, while cozy bed and breakfasts, rustic and elegant barns, sophisticated country clubs, and spectacular resorts offer future newlyweds a plethora of wedding venues. 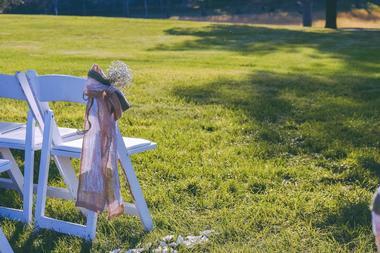 Since 1923, discerning couples have chosen the Manchester Country Club for their wedding ceremonies and receptions. 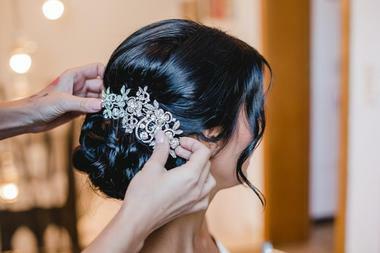 Brides and their attendants can get camera-ready in the dressing room, a private bridal salon complete with vanity mirrors, salon-style chairs, and private butler service. Three picturesque locations are available for indoor and outdoor ceremonies, and the Great Room can hold up to 260 guests for a memorable reception, where guests will enjoy a buffet dinner or plated meal followed by dancing and dessert. A complimentary tasting with the club’s executive chef is a great way to explore the menu collections offered as part of every wedding package. 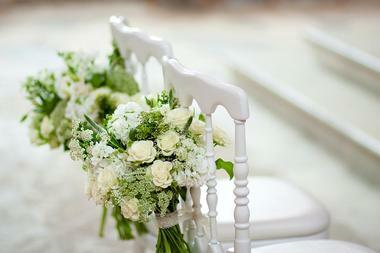 Couples dreaming of a coastal wedding need look no further than Wentworth by the Sea. This private country club hosts oceanfront ceremonies and tented receptions on its exquisitely manicured grounds. The club’s catering director can prepare gourmet meals for rehearsal dinners and receptions and is able to accommodate special dietary requests. Experienced professionals will coordinate with outside vendors and on-site staff to make sure the bride and groom can enjoy their day without having to worry about the details. Arrangements can be made for overnight accommodations in nearby Portsmouth, and a variety of transportation options are available for out of town guests. There’s no better place to have a fairytale wedding than at Castle in the Clouds. 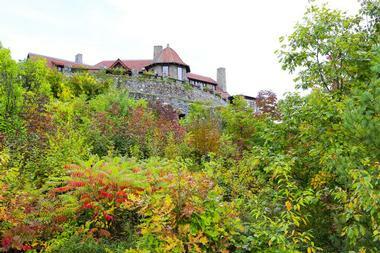 This wooded estate has sweeping views of Lake Winnipesaukee from its mountaintop location. Vintage trolleys transport your guests to the Carriage House, the venue’s indoor event space. 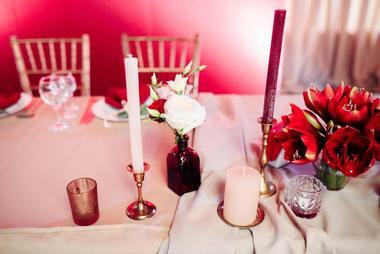 The Winnipesaukee Room’s Arts and Crafts-style details bring historical charm to every event. 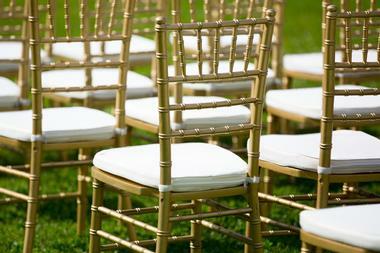 Open-air ceremonies are held on an impeccably maintained lawn surrounded by fragrant gardens. Approved caterers offer a variety of menu options for everything from cocktail receptions to sit-down dinners. After-dinner drinks on the Carriage House patio is the perfect way to end an enchanting day at Castle in the Clouds. This sprawling resort in the White Mountains is an unparalleled location for destination weddings. Five ceremony locations and four reception venues give the bride and groom-to-be a wide range of options for planning the wedding of their dreams. The Tower Spa offers special event services with advance consultations and a hair and makeup team that can be scheduled for the day of the wedding. Overnight guests will be treated to Instagram-worthy mountain views from select rooms and suites and the spacious Presidential Suite with its crackling fireplace and private wet bar can be reserved for the couple’s first night as newlyweds. The Alpine Grove Banquet Facility has been an in-demand site for weddings and other Southern New Hampshire social events for over 45 years. This scenic venue is located on the banks of the Nashua River and has beautifully landscaped outdoor spaces that are perfect for open-air ceremonies. Photographers will be able to capture stunning shots of the bride and groom and their wedding party on the rustic bridge spanning a pond set among the towering pine trees. Indoor options include smaller rooms for intimate ceremonies and receptions and the Main Hall, which can accommodate larger parties of more than 750 guests. This newly renovated hotel is a full-service wedding venue. Its spectacular ocean views make it a premier destination for couples who want a casual wedding on the beach or a reception in one of their event spaces overlooking the Atlantic. 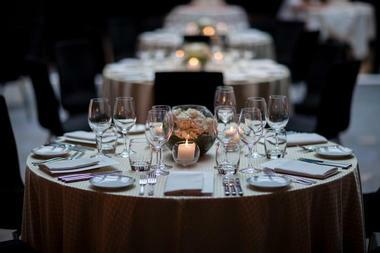 Menu options include traditional wedding fare like roast chicken and beef tenderloin, as well as creative choices such as a late-night French bar for guests who have worked up an appetite on the dance floor. The hotel’s in-house wedding specialist works with a team of experienced professionals to coordinate everything from valet parking to overnight accommodations for guests. The exclusive Atkinson Resort and Country Club has a variety of spaces for functions of all sizes. From picturesque outdoor locations to indoor staterooms and ballrooms able to accommodate up to 400 guests, the Atkinson is ideal for bridal showers and brunches, bachelor and bachelorette parties, ceremonies, and receptions. Each of their wedding packages includes the services of a personal coordinator, use of a bridal salon, cake cutting and service, and a champagne toast. Vendor packages can be added as well for those who want to use the resort’s preferred partners to supply the wedding cake, flowers, and entertainment. It’s no surprise that the Bellevue Barn at Carlisle Place has won one of WeddingWire’s prestigious Couples’ Choice Awards for the past two years. The owners have created a rustic yet elegant hilltop retreat surrounded by the colorful foliage of the Great North Woods. This picture-perfect setting is also home to the Spa and Wellness Center at Carlisle Place. 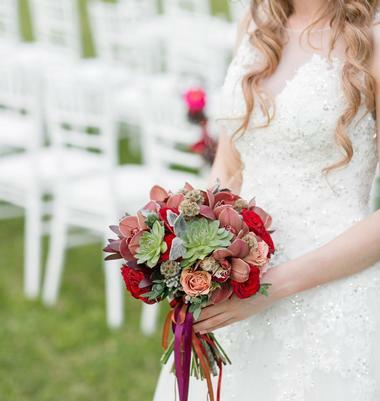 Salon services include special occasion hair and makeup as well as relaxing massages and mani-pedis to help brides look and feel their best on the day of their wedding. 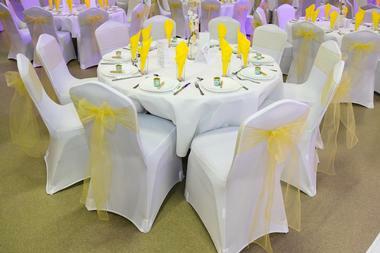 The venue is best suited to medium-sized weddings from 100 to 250 guests. Birch Hill Farm is a private estate that has been transformed into a five-star wedding venue. Close to the Lake Winnipesaukee resort area, where wedding guests can find charming accommodations, the farm is ideally located for couples from the tri-state area. Named for the stately birches that line the driveway, Birch Hill offers all-inclusive packages for ceremonies and receptions of up to 150 in an 18th century post and beam barn. Guests at larger outdoor weddings on the manicured lawn will have a breathtaking view of the mountains as they witness the bride and groom exchange their vows. The staff at Birch Woods Vineyards take pride in making every couple’s wedding day one of a kind. From planning to preparation to presentation, their attention to detail has earned them the highest of praise from newlyweds and their families. Personalized wedding packages can include custom decorations; special menus with vegan, vegetarian, and gluten-free options prepared with locally sourced ingredients; and self-serve wine from a barrel or a well-stocked open bar. Couples can say “I do” under the columned pergola set in the vineyard or in front of a towering stone fireplaces in the Vineyard Room or Estate Room. This family-owned and operated venue has some unique features that make it a desirable wedding location. Guests arriving at Bishop Farm Weddings & Events are directed to the ceremony barn, where they are seated in authentic church pews lit from above by elegant chandeliers. Photographers will be able to capture the beauty of the chapel, with natural light streaming through the stained-glass windows. Following the ceremony, the guests can gather in the lovingly restored 19th century barn for dinner and dancing. On-site accommodations include seven well-appointed guest rooms and six private cottages with country charm and modern amenities. 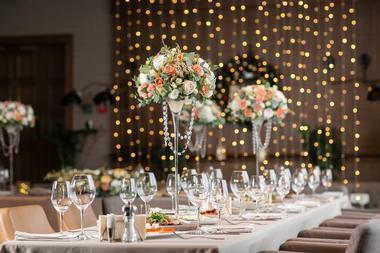 The Castleton Banquet and Conference Center is a full-service event facility staffed by a function coordinator, an executive chef, and an attentive staff ready to make each wedding day memorable. Set in the exclusive Cobbetts Pond lake district, this multifunctional venue has three waterfront ceremony settings as well as indoor spaces suitable for events of all sizes. Creative cocktails, classic hors d’oeuvres, and inventive late-night snacks complement buffet, family-style, or plated meals prepared by a professional culinary team. A curated list of preferred vendors includes a fireworks specialist who can create a custom display for you and your guests. The Christmas Farm Inn and Spa is an historical property that was once home to a farmhouse, a church, and even a jail! Today, it is a premier wedding destination that offers a wide range of amenities including spa services, lodgings, special events, and an on-site restaurant perfect for rehearsal dinners. The Romance Package can be combined with any ceremony or reception for a relaxing start and finish to the weekend. The Carriage House is an intimate setting for up to 85 guests, while tents can be placed on the lawn during the warmer months to accommodate larger weddings. 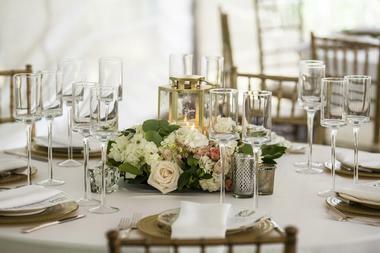 Curtis Farm specializes in tented weddings in an idyllic outdoor setting. The staff prides themselves on being able to fulfill special requests like allowing pets be part of your ceremony or having ice cream trucks deliver sweet treats to guests at the reception. 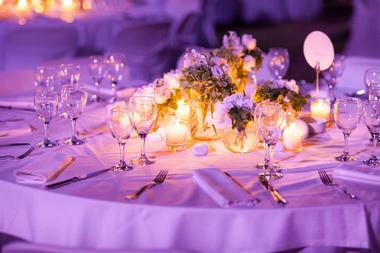 The venue’s event planner helps coordinate with outside vendors to make sure everything runs smoothly. Couples have access to the farm from Wednesday through Saturday to allow plenty of time for taking photos, decorating the tent, and rehearsing for the ceremony. 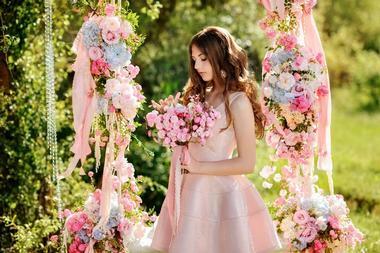 The bridal party can use the farmhouse on the day of the wedding to get dressed and touch up their hair and makeup. Named for the woods and meadows that surround the Victorian-style buildings, Dell-Lea is a top-rated event space with indoor and outdoor locations perfect for celebrations of all kinds. The well-preserved function hall has been renovated to include upgrades such as heating and air conditioning, an ADA-compliant entrance, spacious restrooms, a coatroom, and a bridal suite. On-site catering and bar service, day-of event coordination, a professional and caring staff, and beautiful facilities are just some of the reasons that Dell-Lea was chosen as a winner in The Knot’s 2018 “Best of Weddings” category. The Eagle Mountain House and Golf Club is well equipped to handle any size of ceremony or reception, from small intimate gatherings in the Carter Notch Room to large-scale events complete with dinner and dancing in the Carriage House. 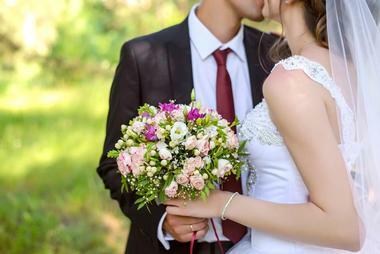 Couples who are forgoing a traditional celebration with friends and family can take advantage of the Two of Us package, which includes romantic amenities like a bottle of champagne, dinner for two, and breakfast in bed as well as a bouquet and boutonniere, the services of a justice of the peace, use of a ceremony site, and a personalized wedding cake. Mill Falls at the Lake is a unique location for a wedding your guests will never forget. On the shores of Lake Winnipesaukee, this premier resort has two spectacular sites for celebrations. Mill Falls is so much more than just an event venue, though. Four inns and two cottages make it convenient for family and friends to gather before the big day and enjoy the holiday atmosphere of the village. A day spa and a small beauty salon pamper clients with an extensive menu of services, and eight restaurants ranging from casual to high-end can be reserved for pre and post-wedding events. Farm-style weddings at this working berry farm are a natural fit for couples who want to have an open-air ceremony in a lovely outdoor setting. The panoramic view of the mountains serves as a stunning backdrop for photos of the bride and groom as they say “I do.” The same mountain view can be seen from the windows of the wedding barn, where guests will toast the happy couple before enjoying a locally sourced meal from one of the venue’s preferred caterers. 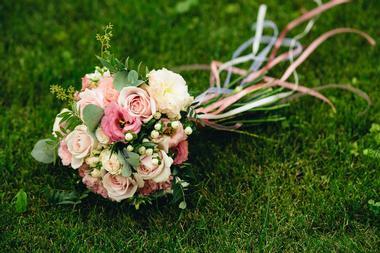 The owners have curated a list of local professionals who offer services from officiating to floral design and come highly recommended. The Nashua Country Club’s professional event staff is dedicated to providing incomparable service. From planning meetings with the wedding coordinator to tastings with the culinary staff, couples will find a team devoted to making special occasions stress-free. They work with a select list of vendors that also provide exemplary service and can cover everything from flowers to entertainment. The Grand Ballroom and the Fairway Room can accommodate up to 200 guests, while smaller groups will enjoy the cozy ambiance of the Hunt Room. Catering menus include cheese and charcuterie plates, soup and salad, and a selection of hors d’oeuvres and entrees. Having a wedding at Purity Spring Resort has unique benefits. Pre-wedding dinner and dancing weekends help couples learn steps that will make their first dance as husband and wife memorable. The Romance Package is a perfect add-on for a post-wedding stay during the spring and summer months. It includes complimentary champagne and souvenir wine glasses as well as a relaxing dinner at Traditions Restaurant and Pub. With plenty of on-site activities and events to entertain guests, the bride and groom will be able to concentrate on wedding preparations while knowing that their friends and family are enjoying themselves. 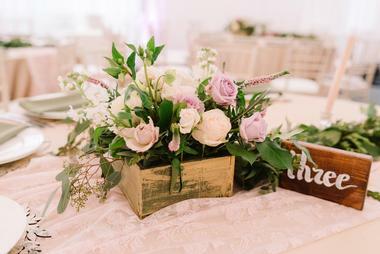 Rivermill knows that every couple has a unique vision for their wedding, so they offer flexibility in floor plans, decor options, ceremony locations, pricing structures, and more to make each wedding one of a kind. 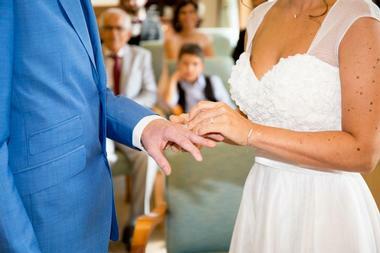 The staff maintains a list of preferred partners, but encourages couples to introduce them to the vendors of their choice if they are not included on the list. Their website has links to a number of useful planning guides and suggested seating arrangements to help engaged couples prepare for their personalized ceremony and reception. Their flexibility is one of the features that has made them one of WeddingWire’s Couples’ Choice Award winners. This historic farm dates back to the Revolutionary War. It has been in the same family for generations and they have taken great care to preserve its authentic character. 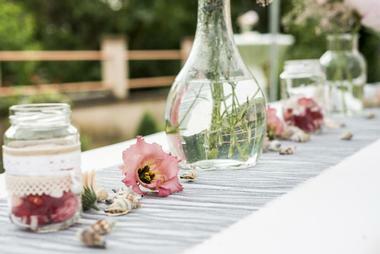 Perfect for brides who have planned their country-chic wedding on Pinterest, the barn can be decorated in DIY style. Small to medium-sized receptions of up to 150 guests can be seated in the barn or in outdoor tents. 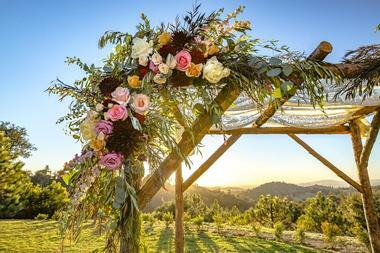 Three different ceremony sites allow couples to have a garden wedding, exchange vows on the steps of the barn, or pledge their love to each other in a field of wildflowers. Featured as one of “8 Quintessential New England Venues” by The Knot, this inn and spa is anything but common. The Common Man has a variety of event spaces for celebrations of all types in downtown Plymouth. 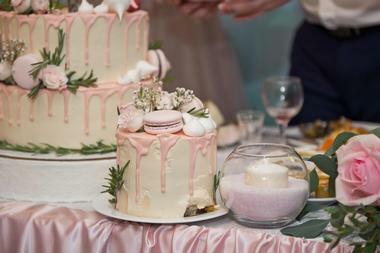 Professional planners are available to help newly engaged couples choose from unique food and beverage options including pasta and stir fry stations, themed dinners, and a flavored coffee bar. Midweek wedding specials give budget-conscious couples discounts on accommodations, spa and salon services, menu selections, and preferred vendor rates. 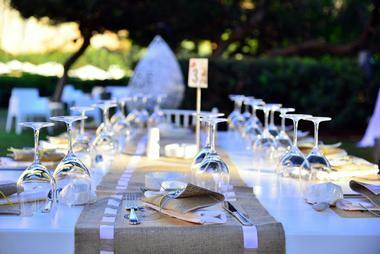 Experienced professionals can help plan every detail of your wedding to make it uncommon and unforgettable. The elegant Exeter Inn has been awarded the TripAdvisor Certificate of Excellence for its high number of positive reviews from former guests. The Jacuzzi Suite and the Fireplace Suite are available for newlyweds to spend their first night as husband and wife in luxurious surroundings,	and they can also be used as bridal salons for the wedding party to get dressed and relax prior to the ceremony. 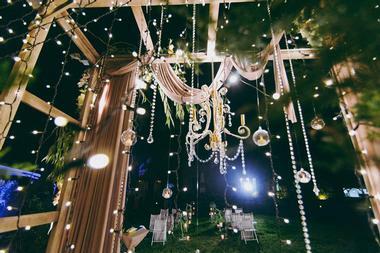 Indoor and outdoor ceremony and reception sites are all equally desirable and picture-perfect. 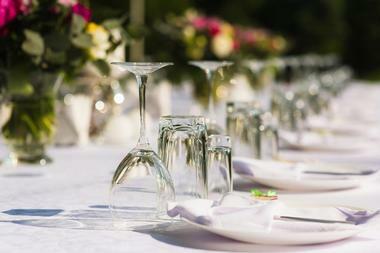 An experienced wedding planner and banquet manager are on-site to make sure your special day runs smoothly. 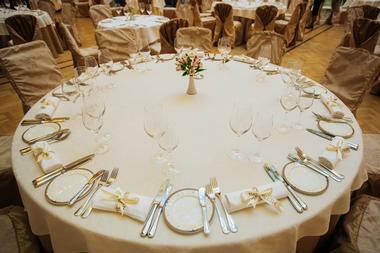 The Granite Rose is a highly rated Wedgewood Weddings property. Clients of Wedgewood Weddings will receive the services of a professional event consultant when they choose one of Wedgewood’s exclusive venues as their wedding location. Access to a carefully cultivated list of vendors is another benefit of celebrating any special occasion at the Granite Rose. The event consultant can help clients choose the best space for their ceremony and reception based on the number of guests and the preferences of the bride and groom. Conveniently located in scenic Hillsborough County, this sought-after venue is close to area attractions and accommodations.